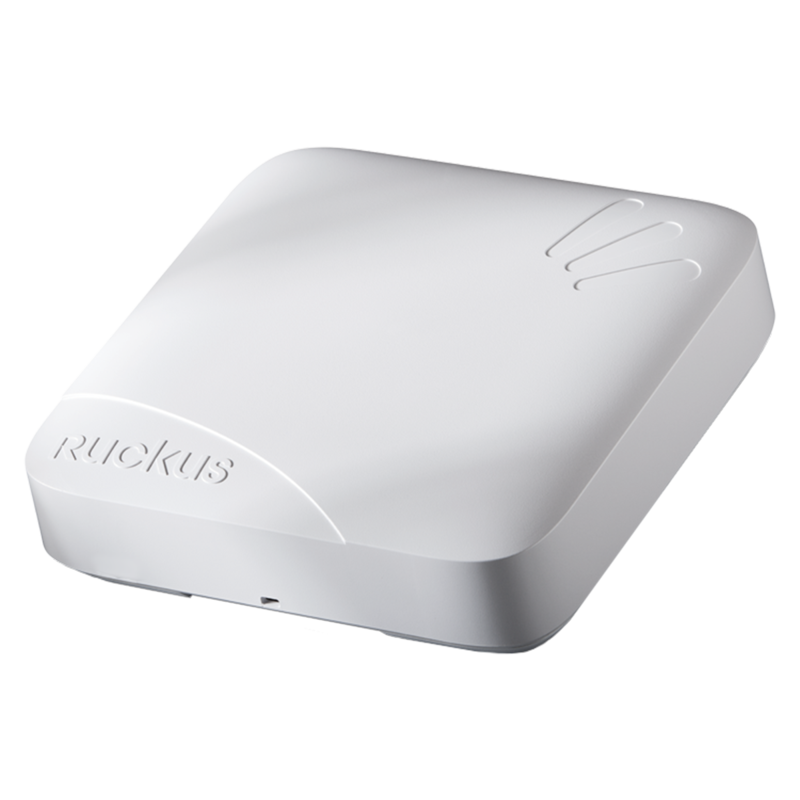 Ruckus ZoneFlex R700 is the first dual-band, three-stream 802.11ac access point that incorporates Ruckus-patented BeamFlex+ adaptive antenna arrays. With a throughput of 450 Mbps (2.4GHz) and 1300 Mbps (5GHz), the ZoneFlex R700 ensures maximum throughput to three-stream capable clients while also improving single and dual-stream client performance. This is achieved through the unique combination of adaptive antenna technology, predictive channel selection and adaptive polarization diversity. Backward compatible with all existing clients, the ZoneFlex R700 can function either as a standalone AP or as part of centrally-managed Wireless LAN with the Ruckus ZoneDirector Smart WLAN controller. The ZoneFlex R700 integrates a patented software-controlled adaptive antenna array that delivers additional signal gain per radio chain. As BeamFlex+ adapts to client locations and antenna polarity, the smart antenna array optimizes the RF energy toward client on a per packet basis. This allows for up to 2x improvement in signal range and a reduction in packet loss from the ability to automatically mitigate interference and obstacles. By combining BeamFlex+ with the transmit-based beamforming, the ZoneFlex R700 is capable of delivering up to 6 dB of SINR gain while offering concurrent support for spatial multiplexing. In dynamic indoor and urban Wi-Fi environments device orientation constantly changes. This affects the polarization of the transmissions. Traditional Wi-Fi antennas are static in nature and only listen using one polarization. This prevents them from capturing the full signal from mobile client devices. The Ruckus R700 listens in all polarizations simultaneously. This results in up to 2x (4 dB) receive signal gain from mobile devices with weak transmitters. When used with the Ruckus ZoneDirector Smart WLAN controller, the ZoneFlex R700 supports a wide range of value-added applications such as guest networking, Dynamic PSK, hotspot authentication, wireless intrusion prevention and many more. WLANs can also be grouped and shared by specific APs. In a centrally managed configuration, the ZoneFlex R700 works with various authentication servers including AD, LDAP, and RADIUS. Ruckus Zoneflex R700 Zoneflex R700,Dual-band 802.11a/b/gn/ac Wireless Access Point, 3x3: 3 Streams, Beamflex+, Dual Ports, 802.3af Poe Support. Does Not Include Power Adapter Or Poe Injector. - Ruckus Zoneflex R700 Zoneflex R700,Dual-band 802.11a/b/gn/ac Wireless Access Point, 3x3: 3 Streams, Beamflex+, Dual Ports, 802.3af Poe Support. Does Not Include Power Adapter Or Poe Injector. Select Product * Please select product Ruckus Service Contract - 1 Year Service Contract - 1 Year,End USer Support For Zf R700 1 Year Ruckus Service Contract - 1 Year Service Contract - 1 Year,Watchdog Advanced Hw Replmnt For R700 Ap - 1 Year Ruckus Service Contract - 3 Year Service Contract - 3 Year,End USer Support For Zf R700 3 Year Ruckus Service Contract - 3 Year Service Contract - 3 Year,Watchdog Advanced Hw Replment For R700 Ap - 3 Years Ruckus Service Contract - 5 Year Service Contract - 5 Year,Watchdog Advanced Hw Replcment For Zf R700 Ap - 5 Years Ruckus Zoneflex R700 Zoneflex R700,Dual-band 802.11a/b/gn/ac Wireless Access Point, 3x3: 3 Streams, Beamflex+, Dual Ports, 802.3af Poe Support. Does Not Include Power Adapter Or Poe Injector.